One of many parks in Mackinaw City, which has picnic tables, benches, and grills. Some of the parks are busy with visitors and as a result be considerate when carrying Kayaks and equipment. The park is located on the Mackinaw City Historic Trail. 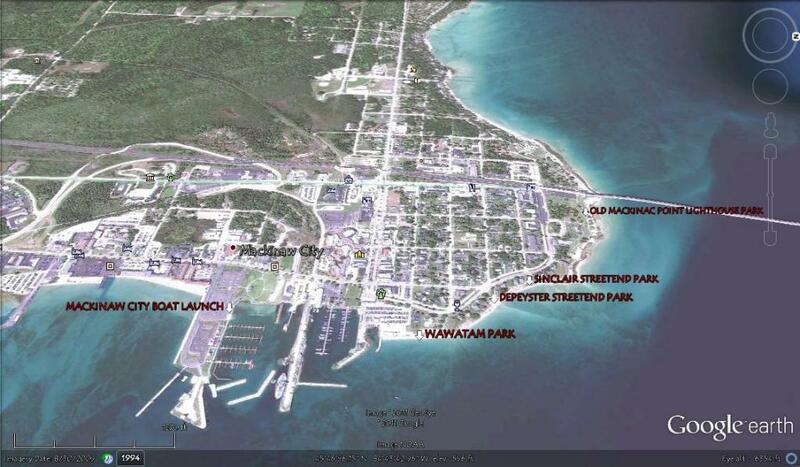 Paddling around the waterfront of Mackinaw City offers an Interesting mix of historic sites and parks. Be careful of heavy boat and ferry traffic paddling around the Mackinaw City waterfront. Waters in the straits are challenging with the currents and waves.